111 horses have died on tribal land in northern Arizona, apparently after getting trapped in a muddy stock pond over the past week. 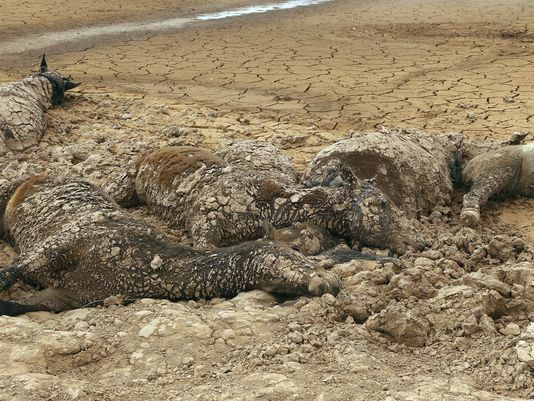 Photos show clusters of horses with dried mud on their bodies, some overlapping each other. 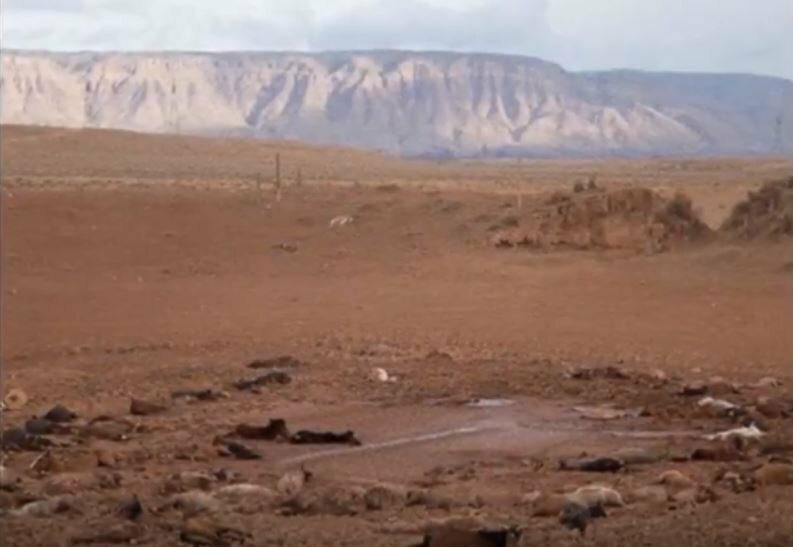 Navajo Nation President Russell Begaye issued a drought declaration about two months ago and warned cattle owners to prepare for the conditions. The Navajo Nation reservation spans parts of New Mexico, Arizona and Utah. 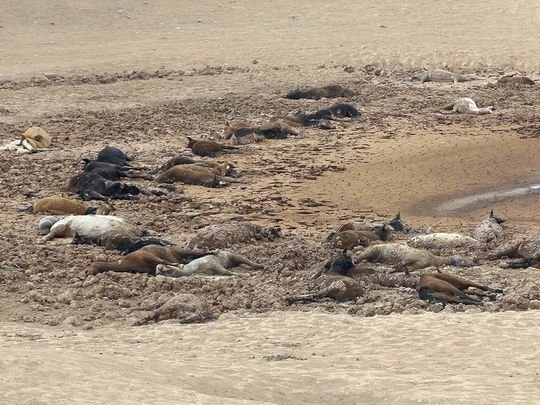 Dozens of horses (111 in total) have died on tribal land in northern Arizona, apparently after getting trapped in a muddy stock pond as a drought grips the region. The stock pond near Cameron typically is a good spot for thirsty animals because it is one of the last in the region to dry up. 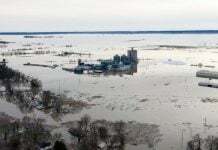 But drought conditions left it without much water from runoff this year. 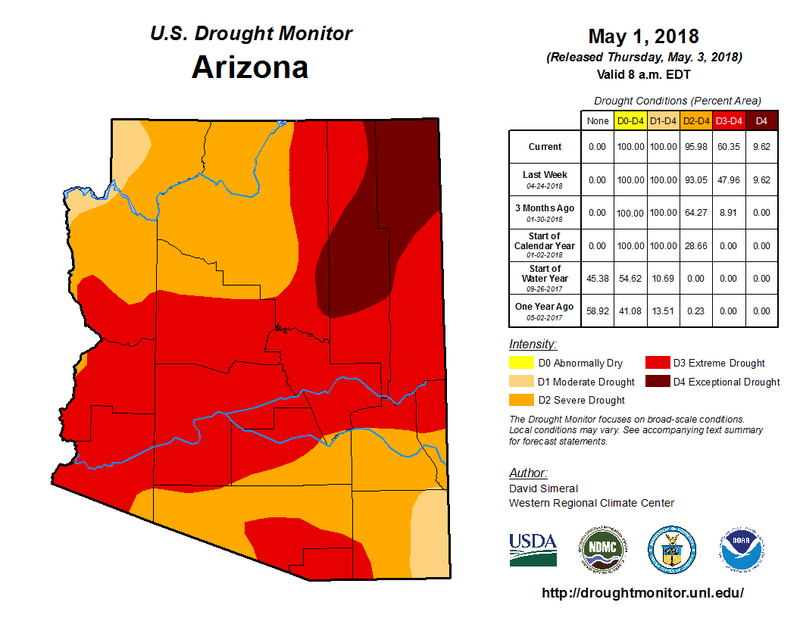 Northern Arizona is going through the worst stages of drought, with the area that supplies water to Cameron under a red swatch of exceptional drought. A community upstream on the Little Colorado River is the driest on record since October 1, down three inches from normal. And with this drought, the giant cracks in the Earth won’t stop swallowing up the ground of Arizona. Are these wild muatangs without owners? these are indeed wild horses. These don’t look stuck. There are bodies quite far out as well. Dehydration could have killed them, and they were writhing around in the mud suffering, but they don’t look trapped. Especially since some bodies are way up on the hill. 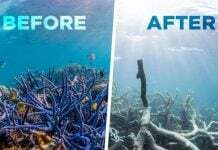 What is the source of this article? 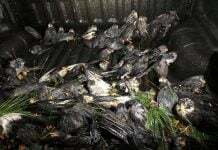 This looks like another mass animal die off. It would be easy to determine dehydration as cause of death. Trapped in mud doesn’t work here.